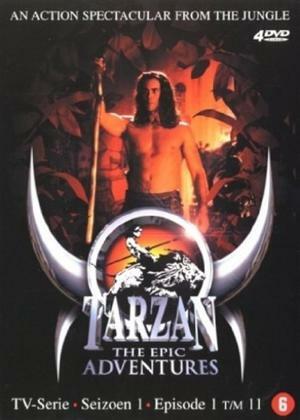 Joe Lara stars as Tarzan, the ultimate hero, as Edgar Rice Burroughs envisioned him in 24 worldwide best selling novels. Now for the first time ever, Tarzan travels through magic portals to explore lost worlds, great civilizations and the mysteries of the ages. Finding himself in these mythical and fantasy worlds, Tarzan must fight creatures from beyond space and time. Offering visually astounding shooting locations in Sun City, South Africa, Tarzan: The Epic Adventures series continues the legend of one of the greatest known characters of all time.